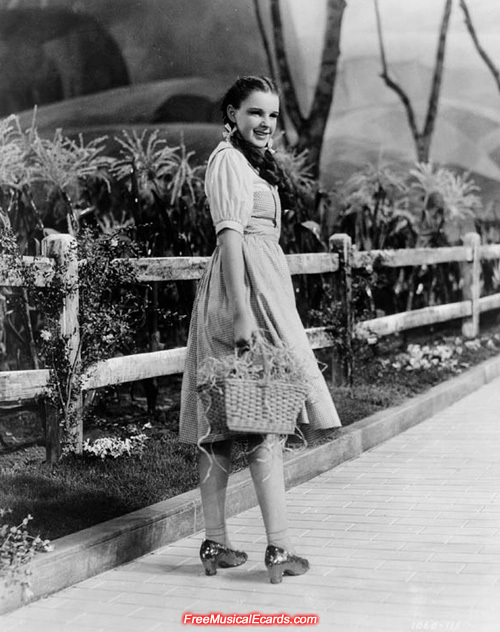 The Wizard of Oz hotness, Judy Garland showcased a diversity of talents in her career as a professional world-class singer and actress. In the movies, she was a great talent, and everybody will always find something in her list of classic movies that they enjoy. 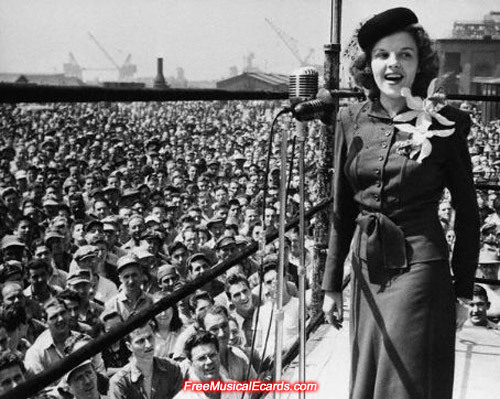 In concert, she really clicked with the audience with her wonderful energy and spectacular singing voice. 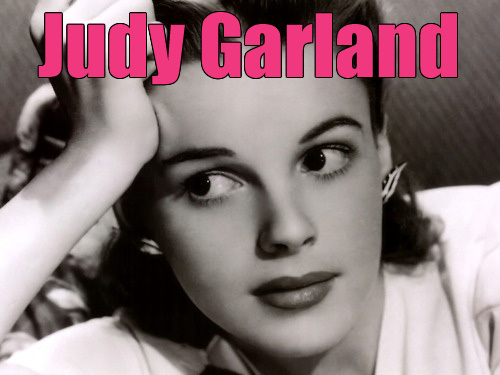 Timeless and enduring, Judy Garland is one of the world's most loved performers and entertainers, a star of stage and screen, whose remarkable show business career that spanned over four decades in which she appeared in 11 short subject movies and 32 full length movies. 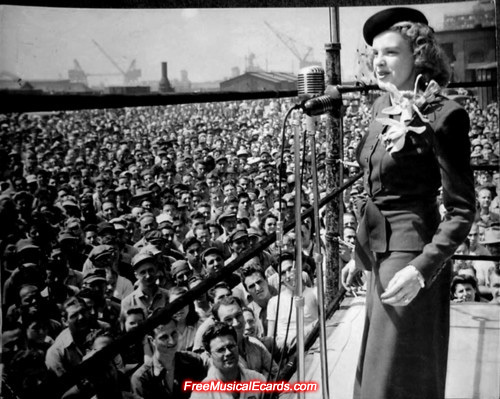 to be named an Honorary Corporal for her war efforts. 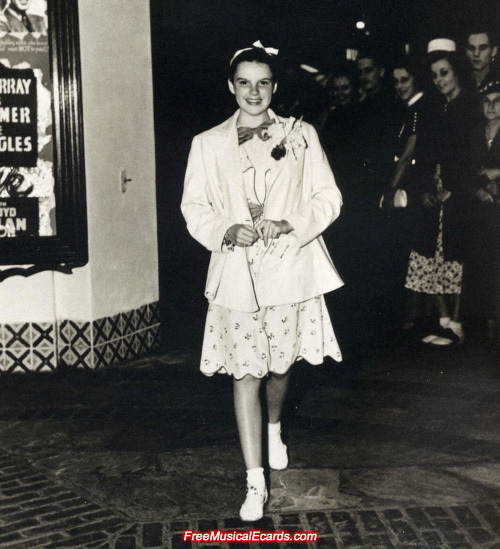 at the Philadelphia Navy Yard in 1944.
at the Village Theatre in Westwood Village, Los Angeles, 1938. 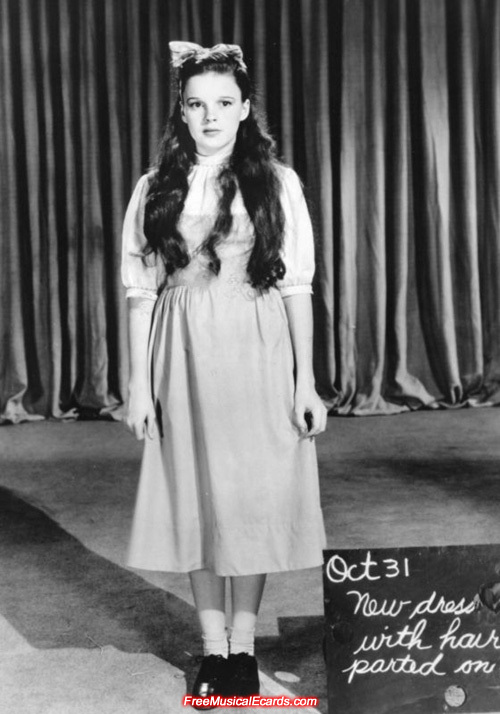 Judy Garland costume test for The Wizard of Oz. 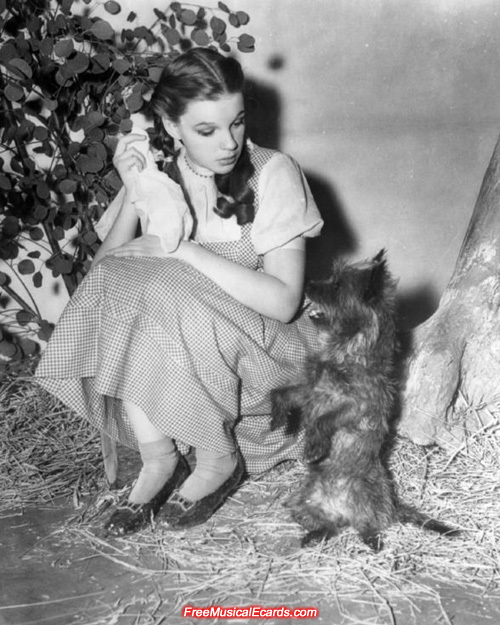 Publicity still of Judy Garland as Dorothy on The Wizard of Oz set. 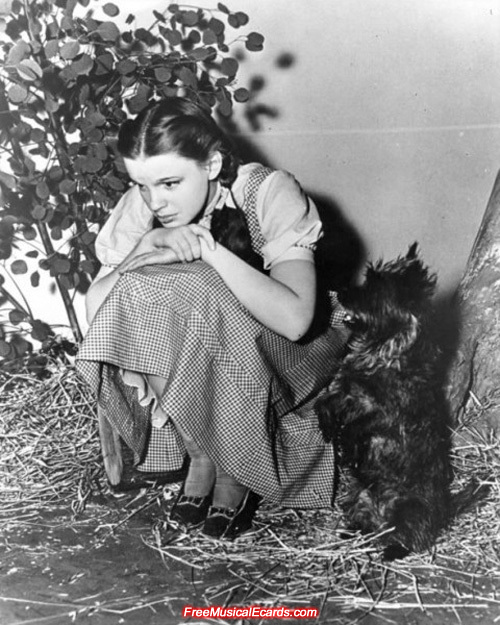 Publicity still of Judy Garland as Dorothy with Toto on The Wizard of Oz set. woah i would love to go back to these times for atleast... 3 days, something bad might go down since the time period, ill probably get killed before i could meet Judy or Mickey hahaha.